Come Fly With Us in our exclusive and unique 1939 Douglas DC-3 and see San Francisco Bay like never before as you rediscover the romance of the 'Golden Age" of air travel. Typical flight paths will allow stunning views of San Francisco and San Pablo Bays, Sausalito, Angel island, the Golden Gate and Bay Bridges, Alcatraz, Treasure Island and City Skylines, etc. 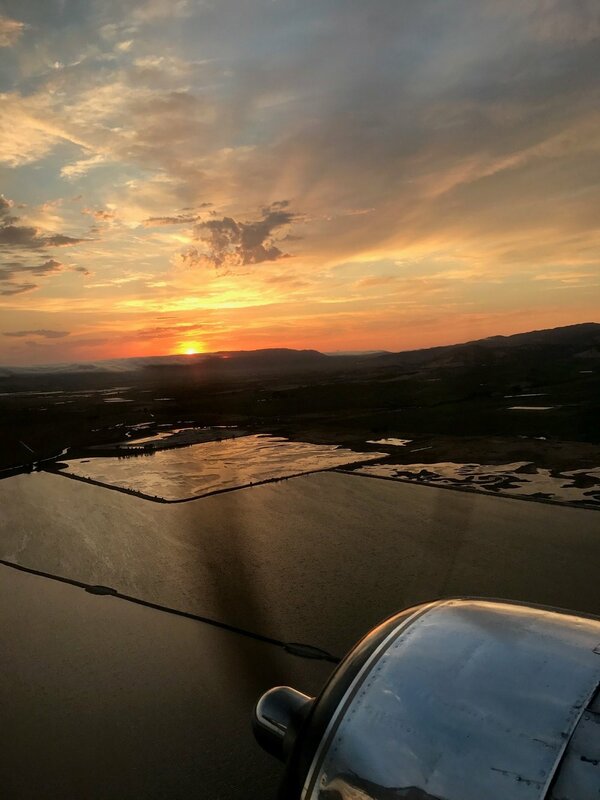 See the sun set from on high and marvel at the beauty of the countryside as it fades into twilight before arriving in San Francisco Bay to magical views of City Skylines as they light up!